Now available at Club Stores, Nature Valley Chewy Trail Mix Bars and Simply Fruit Roll-Ups deliver great value and are perfect to have on hand for last minute day trips and even an afternoon in the backyard. Not only nutritious, but convenient too, the club sized snacks are individually wrapped and ideal for throwing in your purse or travel bag, just in case your little one´s tummy starts to rumble. * Nature Valley Chewy Trail Mix Bars are a delightful, 100% natural, combination of tastes and textures you´ll love. Now, you can get 25% more of the whole almonds, peanuts, raisins and cranberries in every bar! With no artificial flavors or colors and only 140 calories, Nature Valley Chewy Trail Mix Granola Bars also contain 8g of whole grain per serving. * Simply Fruit Roll-Ups are a better-for-you treat that kids love! Simply Fruit Roll-Ups are an excellent source of Vitamin C and are available in a convenient variety pack of Strawberry and Wildberry flavors. 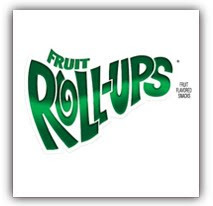 Every delicious roll is made with 90% real fruit and fruit juice and packs a full serving of fruit. Even more exciting? They´re gluten-free and contain only 50 calories per roll. Check out your local Club Store today for stock up packages of these delicious snacks and more! We've been big fans of the Simply Fruit Roll-Ups ever since they first came out, so receiving a big box of them was such a nice surprise! To the kids, it was like The Great Pumpkin had dropped off a huge Halloween Trick-or-Treat loot on our front porch, because they get all the fun of unrolling the fruit and the chewy yumminess of a fruit snack. I never feel guilty about buying these since aren't loaded with refined sugar. But this is the first time we've ever tasted Nature Valley Chewy Trail Mix Bars, and it was quite a revelation! My daughter asks for it all the time, and even my husband wants me to pack one in his lunch box for as long as they last. They have a great fruity-salty taste, and their chewy texture fools my brain into thinking that I'm eating some kind of decadent, calorie-laden treat -- when in fact they only have 140 calories. I also love that they're individually wrapped, so when my kids ask me for something to eat I can send them to the cupboard to grab a bar all by themselves. A little less nuts and a little more cranberries in the Chewy Trail Mix Bars, please! Simply Fruit Roll-Ups and Nature Valley Chewy Trail Mix Bars make a great, healthy on-the-go snack -- and with these warehouse club-sized packs, it's easy to stock up! 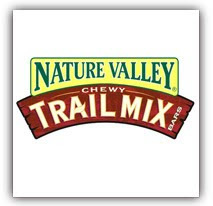 * a stock-up sized package of Nature Valley Chewy Trail Mix Bars (48 ct.). * a stock-up sized package of Simply Fruit Roll-Ups (42 ct.). * a $25 Costco gift card. Leave a comment on this post and tell me which kinds of snack(s) you want to stock up on at Costco this summer. This entry must be completed before extra entries qualify. This giveaway ends at midnight PST on July 21, 2010; I will draw a winner at random on July 22 and post the winner's name after the winner confirms acceptance. For additional giveaway rules, click here. Good luck! Disclosure: I received samples of the products featured in this review as well as a Costco giftcard, courtesy of General Mills through My Blog Spark. I was not paid to review the product or give my opinions. Unless clearly stated, the views and opinions expressed here are my own. I want to stock up on Yoplait yogurt. I'd like to stock up on yogurt, kids love it! Networked Blogs follower@tcarolinep JessieKatie S.
I'd like to stock up on yoplait yogurt and some kind of cookies! I'd like to stock up on almonds and cashews. I'd stock up on fruit and cheese! Rice Crackers with Nuts they are carrying, as well as some more of those Nature Valley bars! I want to get some dried and fresh fruit. Granola bars, dried fruit, and Goldfish are the preferred snacks around here. We would love to stock up on fresh fruit! I'd stock up on Nature Valley Trail Mix Granola Bars and Terra Chips. I'm a facebook fan of Bonggamom Finds under username Jennie Tilson. Left comment. I follow on Networked Blogs under username Jennie Tilson. I'm a facebook fan of Nature Valley under username Jennie Tilson. Left comment. I like the sweet and salty nut bars. My kids love any kind of fruit snacks! I would stock up on fresh fruit and nuts. Our family loves to stock up on Peanuts! Fresh fruit - especially apples, bananas and pears. Thanks for the giveaway. Thanks! I hope to see you on Facebook! I shop at Costco about twice a week. I will be going tomorrow to stock up on fruit snacks and beef jerky. Great giveaway! I would stock up on the Chewy Trail Mix bars! My fiance and I are always on the go so these would be a great healthy snack for us! This summer I would liek to stock up on juice pouches and fruit snacks, perfect snacks to throw in a bag and take to the park. I need to go stock up on uncrustables!!! I'd like to stock up on nuts and Eggos' - kids like to snack on them. I'd like to stock up on yogurt. My daughter love it. I would love to stock up on yogurt, cheeses, and beef jerkey! Fresh starwberries and some yogurt. I'd stock up on frozen blueberries and Yoplait yogurts. I want to stock up on Granola bars. I like to stock up on string cheese at Costco. I need to stock up on frozen fruit juice bars. I want to stock up on string cheese, granola bars, yogurt and pretzels. We'd stock up on trail mix, cheese sticks, yogart and dried fruits. I'm a facebook follower (Margaret E. Smith) and posted on your wall. I want to stock up on clementines, cheese sticks, ice cream, and yogurt! I follow your blog with blogger/gfc! I'd stock up on yogurt and string cheese. I'm not a fan of the chewy bars, but I'd love to stock up on the crunchy ones. The maple brown sugar and the dark chocolate are favorites, as are the oats and honey. I would like to stock up on Doritos, Hostess Cupcakes, Hot Pockets, and Pringles. i stock up on chewy fruit snacks! I like their Mixed Nut & Fruit bag. I decided to get my kids involved - they want me to stack up on vanilla wafers, bananas, potato chips and chocolate chip cookies! I'll try to keep it healthy and say Granola Bars, Grapes, and bananas. I want to stock up on sweet and salty bars, fruit and fiber one bars! I try to stock up on fresh fruit for snacks! Id stock up on Trail mix and fruit roll ups. Our new favorite summer snack around here seems to be Fresh Apple slices with Skippy PB! Wrote on the Nature Valley Facebook wall! I would buy ice cream. I would stock up on yogurt, nuts, and water. I subscribe to Bonggamom Finds via email. I want to stock up on Go-gurt and the Kirkland trail mix. I like their Mixed Fruit & Nut bag. I love their bags of dried fruit! The Mangoes & Berries, in particular. So tasty! Thanks for the chance! I left a comment on your Facebook wall! Thanks again! I'm a Google Friend Connect follower! Thanks again! Dried fruit, crackers, milk boxes...I also love how Costco also carries organic items! I want to stock up on raw fruits and nuts at Costco. How do *you* unwind in the summer? $50 Visa Giftcard Giveaway ending next week!